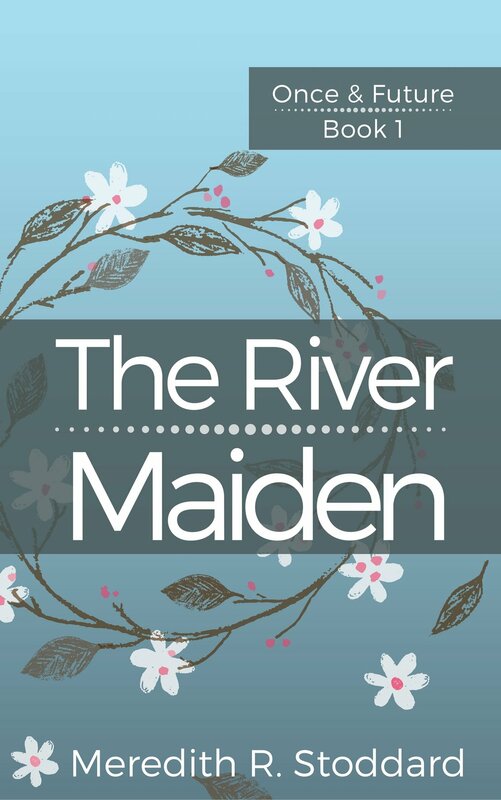 It's been about a month since my beta readers and critique group have given me their feedback on the latest draft of The River Maiden. The general consensus is that the characters and writing are good, and the story is mostly good but there are too many questions left unanswered for a first book in a series. I had come to this conclusion on my own before many of the readers even got back to me, but it was nice to have that confirmed. So there appears to be a good deal of rearranging, revising and rewriting to go into the next draft before it's ready to be shown to potential agents/publishers. Since I have already outlined the next book in the series, I have some timeline gymnastics to work on. There is the question of what to reveal in the first book, without completely ruining the plot of the second. Also, the question of how far the romance in the first book can/should progress and how that might change some of the tension in the next book. There are storylines to be dropped and others to be built up. Needless to say with almost 250 pages of content, this is a daunting prospect, and one that I've been chewing on in the back of my mind like a particularly tough piece of literary beef jerky. Fear not! I have not been idle while gnawing away on my various writing dilemmas. In fact, I have been even more active than usual though just not in the area of writing. (I know terrible to get out of the habit of working every day, but there it is.) So here are some of the things that I've been up to instead of revising The River Maiden. - Taken on an Instructional Design consulting client. - Added a Clearance section to my etsy store and marked down a bunch of items to go in it. - Organized/customized our closet in the master bedroom complete with drawers and shelves. - Completely revamped our deck from it's previous jumbled state into a gorgeous oasis including container gardens, a new gazebo, social area and even a workspace for writing/editing outside while the kids play. - And last but certainly not least, binge watched 4 seasons of Dr. Who. I know, I know. I should have been working on The River Maiden. The good news is that I am getting back to the grind. Even though, I'm working for my client during the hours of the day that I would have previously devoted to writing, I have a plan. This morning I got up at 5AM and came downstairs to work on some reading and editing. I know this has worked for other writers with day jobs and I have high hopes. My characters and my story are usually the last thing I think about as I'm going to sleep at night, so maybe getting up and getting to work before any of my other responsibilities intrude will be a good model for getting things done. It went pretty well this morning. We'll see how well it works when I get to writing some of the new material. Oh! I should also mention that in honor of Stoddard-palooza (Our month long family festival from our anniversary to our birthday's) I will be giving away my historical fiction shorts this month, though not at the same time. Right now The White House is free on Smashwords. I'll keep it that way for a couple of weeks. Then it will go back to its regular price and A Fond Kiss will be free. I hope that Amazon and Barnes and Noble will be adjusting their pricing accordingly, but I don't really control that the way I can on Smashwords. So, if you haven't read them or have read one and not the other, check them out this month to get a free taste. About ten years ago (yes really, that long ago) I got the idea for the novel that I'm currently working on. It came in the form of a prologue. I know prologues are out of vogue, but I've checked and rechecked my reasons for having one, and I'm definitely sure it's the way to go. I wrote the prologue and was pretty happy with it. In the intervening years, I have outlined and written about half the book, other short stories, researched, had a career in corporate training, had two children, bought a house, sold a house, and generally lived a life. All of those things have contributed to my maturing as a writer. So, last year when I picked the novel up again after a hiatus, I read the prologue and was thoroughly unhappy. It meandered through the heads of the characters involved without direction. The descriptions were overblown and some of the dialog was down right syrupy. In the years since I wrote the original prologue, the characters have become clearer in my mind. I have even outlined a whole series of books with these characters. Two of them in particular aren't alive, during the main story line, so the prologue is the first of just a few places that the reader will be able to get their perspectives. The prologue should focus on them, and its original edition did not. My years of writing training materials as a corporate trainer have conditioned me to write to an outline. It also got me used to working to a deadline, which I always managed to by keeping to an "always moving forward" way of working. If I get stuck on something, I move to something else until my mental block clears itself, or I find the information I need to finish. That's also why I always have multiple projects going. I'm always moving forward on one of them. So with that in mind, I was loath to spend valuable time going back and completely rewriting something that I had checked off my novel writing to do list. I told myself that I just had to get the rest out before I could go back and rewrite the prologue. The trouble is, I floundered somewhere around chapter 9. As I was writing the rest of the story, the characters and events included in the prologue solidified in my mind more and more. I seemed to lose my way with the rest of the plot. I couldn't stop thinking about that prologue and how important is was to tell that story well before I could get the rest of it right. I finally had to bite the bullet and rewrite the darned thing. That's just what I've spent my few hours of true writing time for the last week or so doing, and I couldn't be more pleased. What was unfocused and immature, is now true to the characters whose stories need to be told there. It has depth and subtext and foreshadowing that suggests where the overall series in addition to that novel will go. It doesn't reveal too much, but gives the right amount of characterization and a tantalizing glimpse of the heroine's back story. And best of all the writing doesn't make me want to hurl my iPad across the room as the original version did. It also has the added benefit of making me feel so much more focused about moving forward. I know some things in my outline need to be changed, what needs to be added and taken out. Rewriting took extra time that I could used to advance the plot, but it's also helped me refocus. Now, when I advance the plot I know I'll be moving in the right direction.